Small timber pallets, provided by Pallets Sydney, are manufactured and delivered direct from leading Sydney manufacturer of half size and small timber pallets with a quality and reliable service. Each small timber pallet can be custom made to suit what your specific requirements are when it comes to storing, handling and transporting your product/s. Our timber is sourced from sustainable pine forests and hardwood plantations which keeps to our environmental policy. 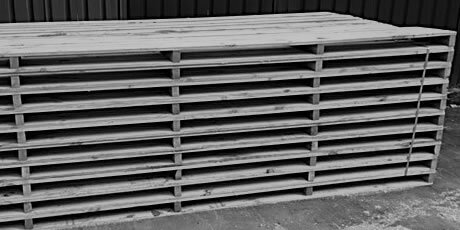 Need a quick small timber pallet quote? Either call us direct on 0400 845 713 or, fill in your requirements on our quick quote form and we will get back to you as quickly as possible. We specialize in batteries and needed some half size pallets to send to our customers. The service we experienced from Pallets Sydney was good, and the pallets arrived as arranged. No problems. Would use them again. Our company was creating an ad and we required some small pallets to be used in the back drop of the photo shoot. David was a gem to work with and the finished product was perfect. I would recommend Pallets Sydney.